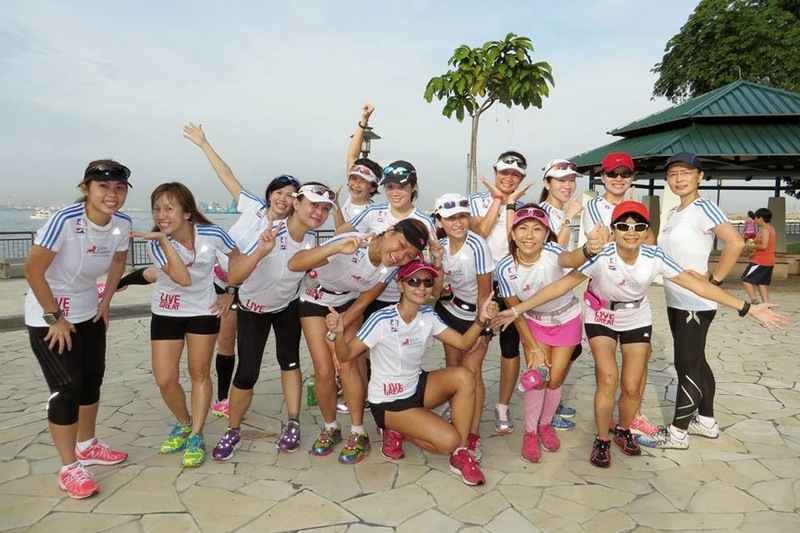 A tribute to the outstanding commitment and can-do spirit of the Sunbirds through their 12-week marathon training journey for the Standard Chartered Marathon Singapore! The Marathon – a journey that change lives! 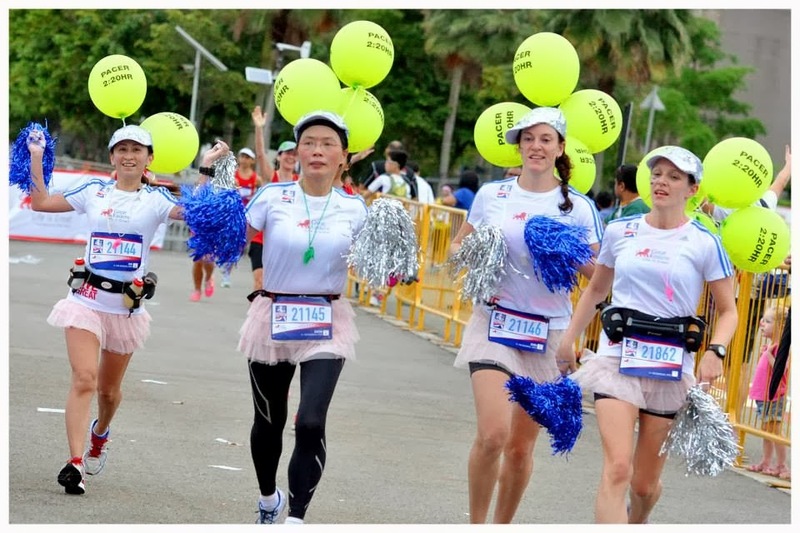 Whether you are running the marathon for glory, for a good cause, for the family, for friends, for change, for the betterment of society, for many of the important personal reasons you have, when you cross that marathon finish line @ Standard Chartered Marathon Singapore, your lives and dreams will see the new light! Team FatBird wishes all our marathoners, runners, friends and supporters a memorable and live-changing experience at the Singapore Marathon on Dec 1! 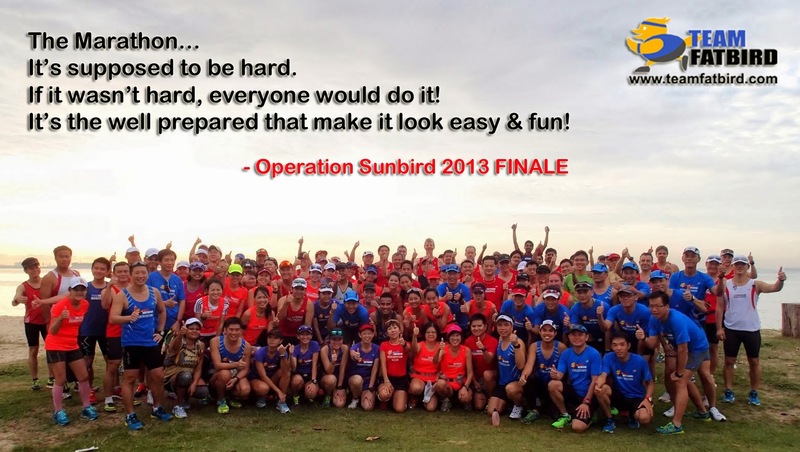 Operation Sunbird 2013 – Follow Our Pace, Win Your Race! 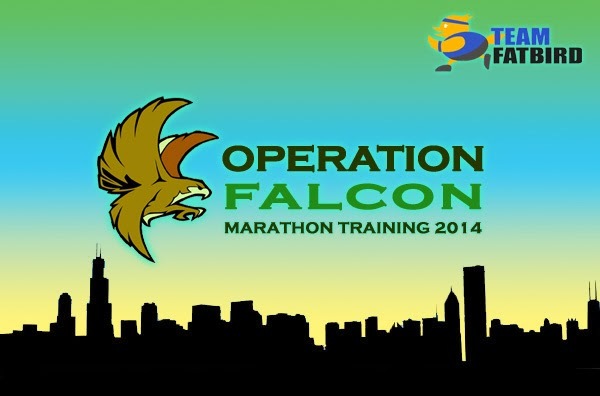 OPERATION FALCON 2014: REGISTRATION OPENS! Training Starts 15 December 2013! • 15 Group Workout sessions will focus on building strength and endurance for the 21km and 42km distances, with a good mix of tempos, hills, repeats, coupled with weekend LSD and pace runs. After 10 weeks of progressive basebuild and marathon pace training, it came down to the Grand Finale – where all the pieces come together as the Sunbird trainees took to the runway one more time at their Optimal Pace and Performance rehearsal. 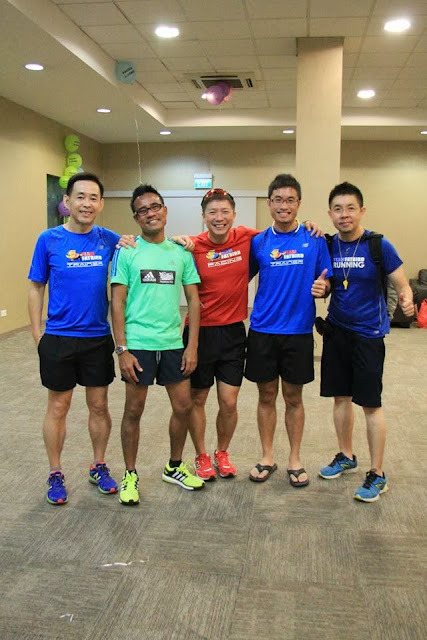 We spent a bit more time this morning with a pre-race pep-talk geared towards getting the Sunbird Marathoners (yes, they have officially passed out as Marathoners) all prep-ed for the mother of all marathon battles on Dec 1, the SCMS! 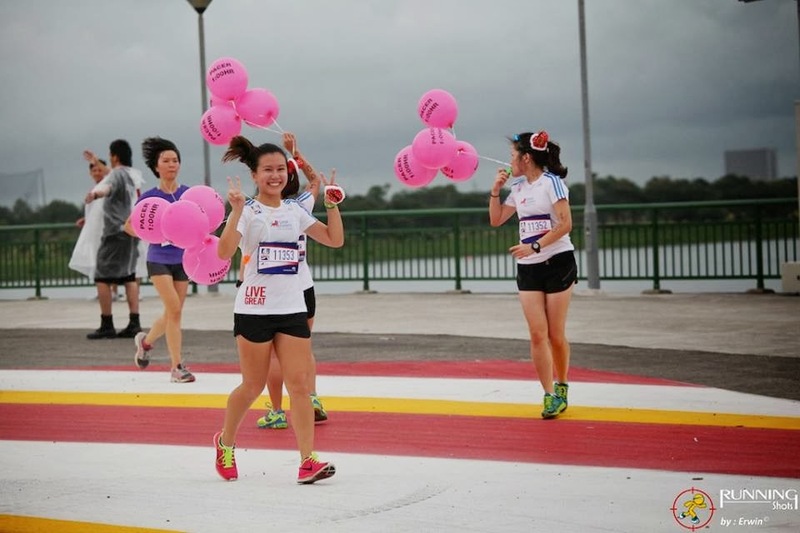 The weather conditions was primed to be quite similar to race morning, with a cooler first half followed by the sunshine at about 8.30am onwards – that would also be about the time where the full marathoners begin running back along ECP towards Fort Road on race day. The Sunbird Marathon warriors were in Full Battle Order (FBO) as they practiced and tried on apparel and race day gear, right down to minute details such as the hydration and fuel equipment, socks and inner-wear, and even the exact caps and sunshades they would be using for the race – nothing would be left to chance as the ‘redcon’ status will be elevated once the full dress rehearsal have been passed. After some quick passing-out group photos, we flagged off as an entire group (just like on race day) and the respective pace groups soon settled into their Optimal Pace momentum. 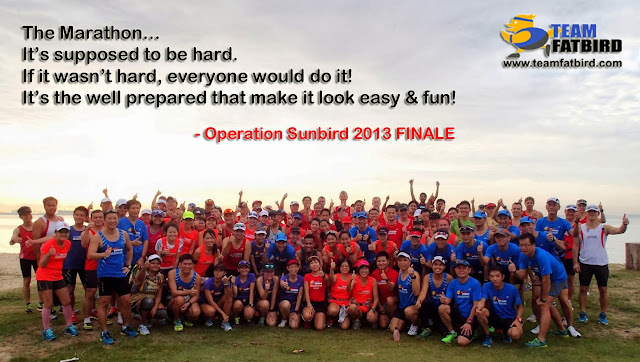 By now, the Sunbirds are trained to a level where they are sensitive to sustainable pace, rehydration and refuel strategies to keep their ‘mojos’ steady and most importantly, being able to stick to their individual race plans that will bring them the rewards that will justify the effort and commitment of the 12-week journey. The tapering distances of 9km (QM), 13km (HM) and 18km (FM) were executed well inside the comfortable zones, gaining high confidence levels for the Sunbirds who are smack on at their peak fitness and endurance levels. Spirits and camaraderie were high, especially among the pace groups who have been training closely as one for the past several weeks, and it will be these levels of confidence and mental strength that will see the Sunbirds through to a good SCMS race. Congratulations to all Ops Sunbird trainees for successful completion of the comprehensive training program, and special thanks to all Sunbird trainers and pacers who have sacrificed their training time and offered themselves generously to help the trainees achieve their training objectives. – See you at the Starting Line on Dec 1…Follow Our Pace & Win Your Race! 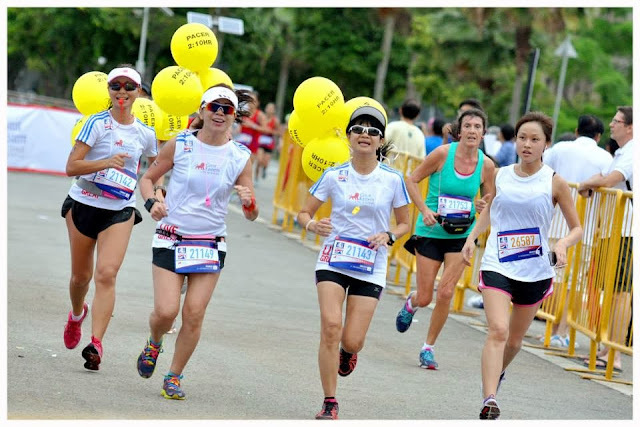 Photo contributions and credits from various sources including: BTing, Running Shots, Tan Kim Lai, Ronnie Goh, Nicholas Heng, Pictureart, Running Gallery (if we have left out any, kindly inform us through training@tramfatbird.com). A few months prior to the GE Women’s Run, Team FatBird was tasked with an enviable mission of selecting a team of ”women only” pacers to undergo 8 weeks of training to be fielded on race day to bring as many women runners to their PBs as possible. 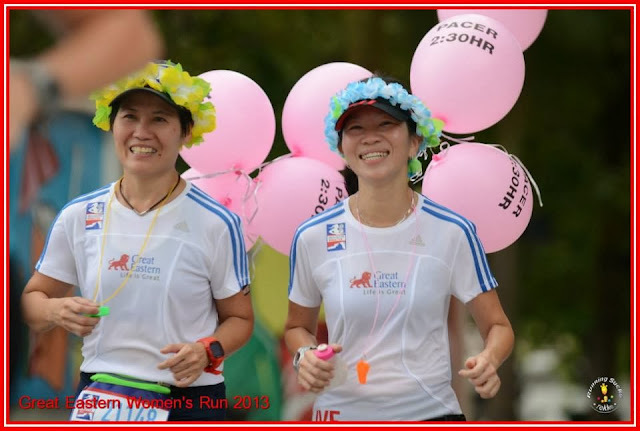 It was from careful sifting through committed and experienced marathoners we know in our club, and with some good fortune, were we able to ‘Cherry Pick’ 20 women pacers who went through a journey of pace training and fostering of friendships and teamwork to eventually be ready for mission GEWR 2013. At 4am on race morning, the Pacers’ support crew (made up Team FatBird trainers, photographers, coordinators) and HM Pacers were gathered in the air-conditioned holding room at The Float to be armed with props that the respective teams have painstakingly designed and procured for this special mission. 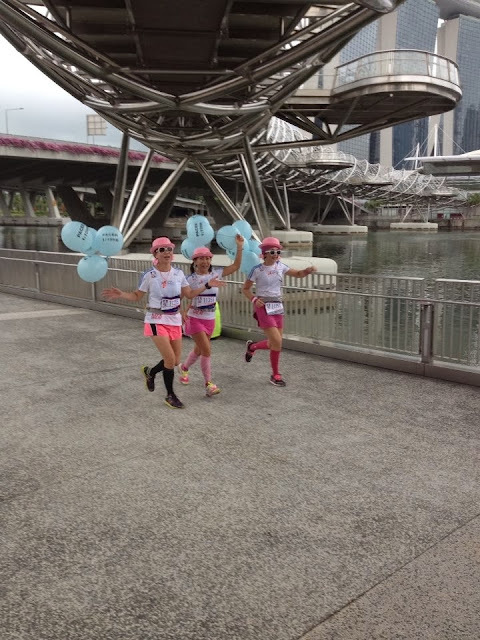 Pacer balloons marked with pace timings were secured onto the ‘wings’ of these Pace Angels, before we proceeded to the start pens for group photos and to assume marked out start positions. The Elite field of international HMers were flagged off at 5:30am, followed 5min later (at 5:35am) by the main field of HM runners. 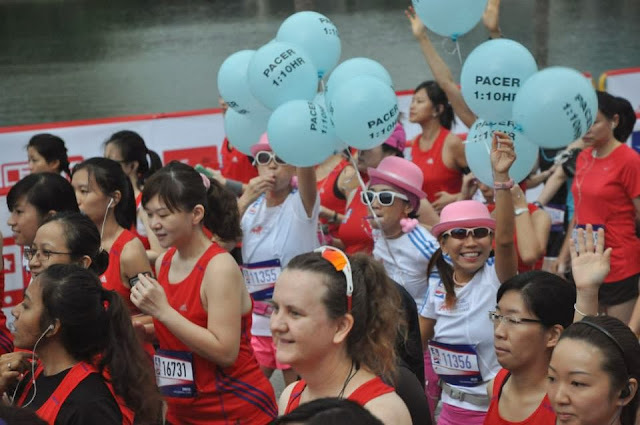 The Pacers and runners were pumped up by the music and encouragement of the MC, creating an atmosphere of excitement. The Pacers with their colorful head gear and balloons put their training into practice in calculated fashion, leading hordes of runners in their distinctive GEWR red apparel out into the horizon. The weather was cool with winds of impending showers blowing through, making the run very comfortable for the runners at the least. 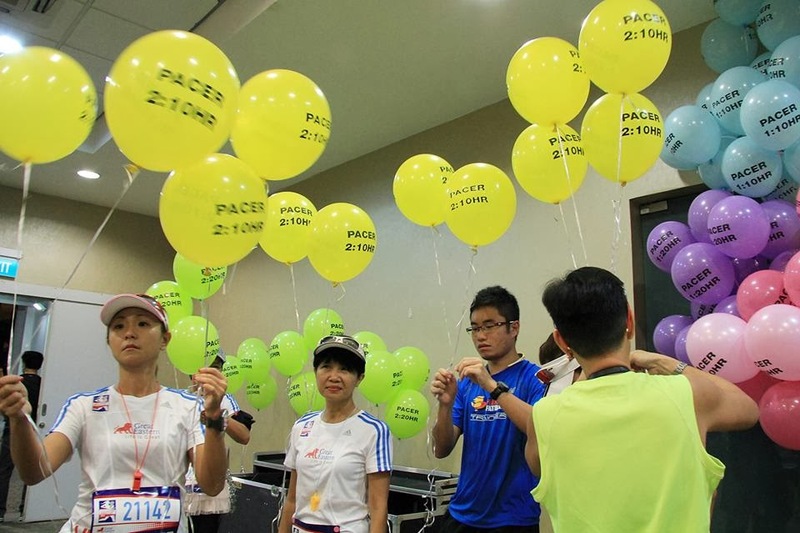 Time passed rather quickly, and by the time the Support Crew reached back to the holding area for a second time, the 10K Pacers were already assembling and receiving their final preparations brief. Pacer balloons were also secured well, and with a few takes of group and team photos, we led the 10K Pacers to the start line at 6:20am for deployment. The pens were filled to the brim by 6:45am, and with the Cheerleaders and warm-up routines by Physical Trainers keeping the runners entertained, the threat of the looming thunderstorm soon came to pass with just a slight delay to the start. The heavens smiled on the GEWR runners as they were flagged off to immaculate cloudy weather, with the Pacers once again blowing their whistles and leading the way with their gaily colored balloons. A quick break for the support crew and we were at the finish line of the HM, anxiously awaiting the arrival of our first Pacer teams. We spotted and cheered for many familiar faces and Team FatBird runners who came in with very good times, some Personal Bests too. 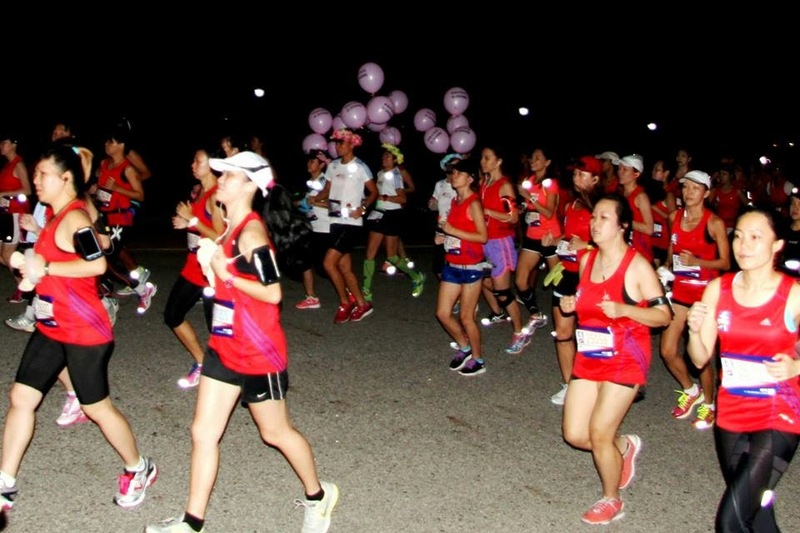 A common sight was the strong running of all the women runners, attesting to the strong field. In a whisker, we spotted the Pacer group of 2:10h from the distance. They were running strong and with confidence, ushering in as many of the runners who could go below 2:10h in before finishing as a group with arms held high in 2:08h – the digital clock read as 2:13h because it was started 5min earlier when the Elites were flagged off (giving our Pacers a scare when they first ran down the finish chute). Their jubilant faces with broad smiles were testament of a job well done and the sense of satisfaction that came with the smooth delivery. 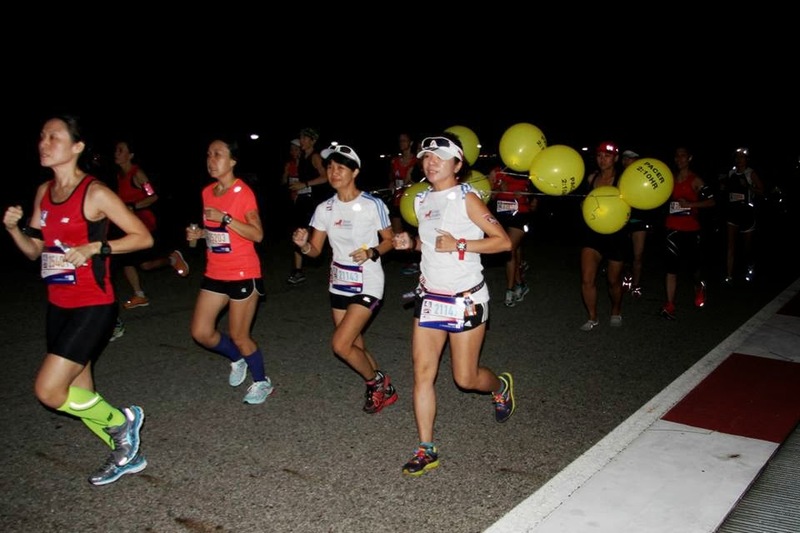 The 2:20h and 2:30h pace groups too accomplished their respective pace objectives in similar successful fashion, all within 1-2min of their Pace Group targets. We had another group of supporters at the separate finish line to welcome back the 1:00h, 1:10h and 1:20h Pace Groups, who have had to lead a larger field of 6,000+ runners through their paces for good finishes. The 10K distance was a tad short, leading to the Pacers with about 1-2min of extra time to nudge more of the ladies to optimize their timings. 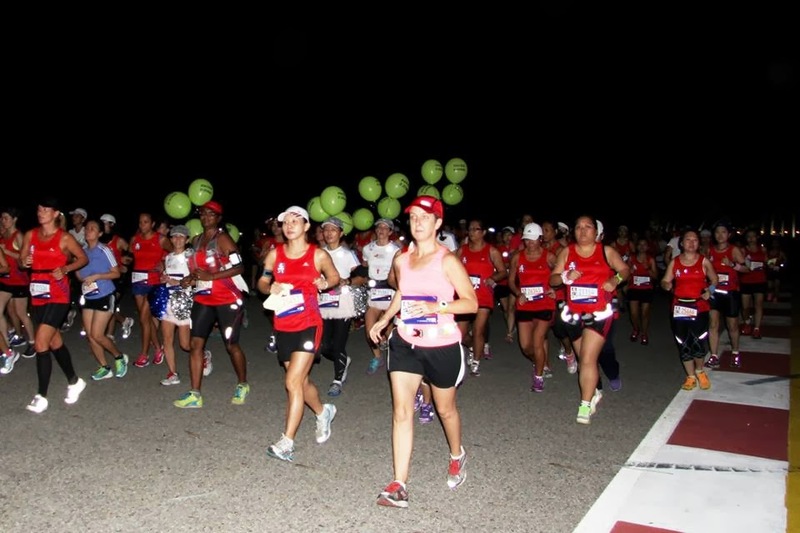 There were loud cheers and whistles of encouragement as the respective Pacer Groups romped home in fine fashion, all within a minute of target finish time to maximize the number of GEWR runners meeting their timing objectives. 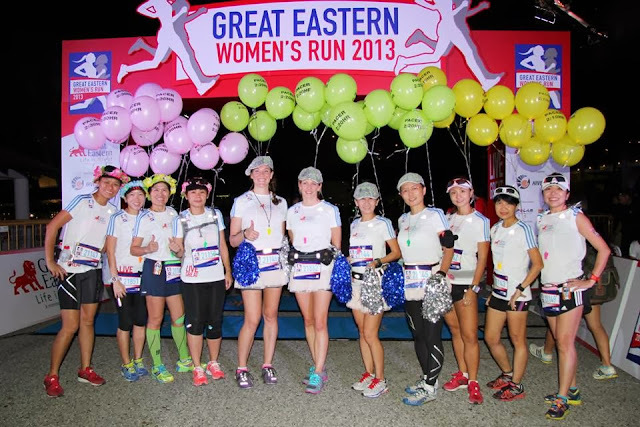 A great performance indeed by the team of dedicated and committed GEWR Women Pacers, who outdid themselves with the sacrifices in training as well as on race day to motivate and encourage so many runners to do their best, in true ‘Girl Power’ fashion. A huge shout out to all 14,000+ GEWR Runners for a great performance and to the GEWR Pacers for an immaculate report card in the inaugural all-women pace mission in Singapore. 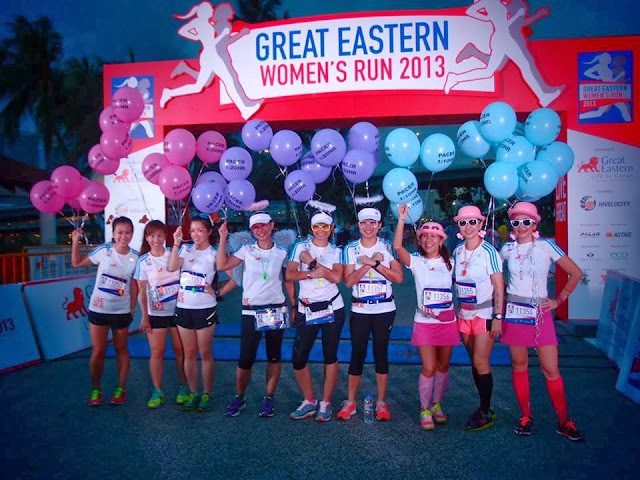 Live Great, Run Great! 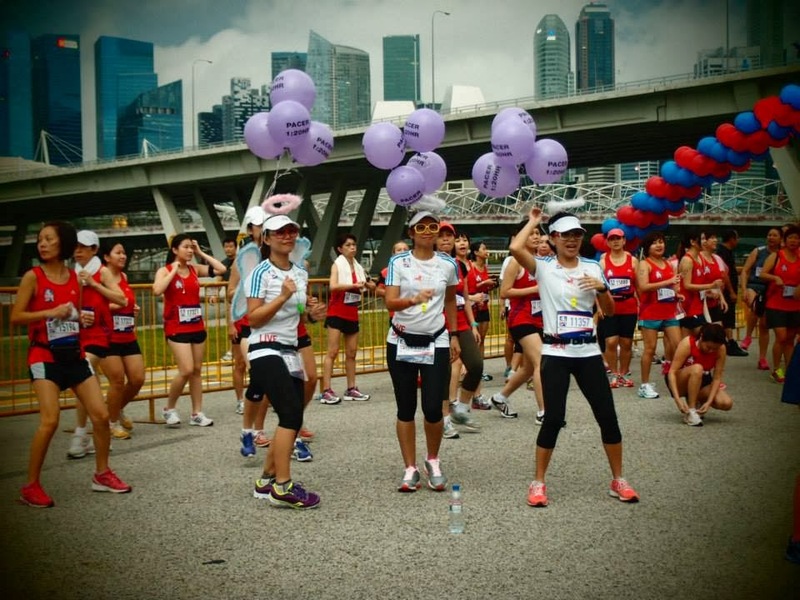 The post-race experience was carnival-like with good food (ice-cream, hot-dogs, nando chicken, muffins, fruits), nice music and games for the participants and their families. 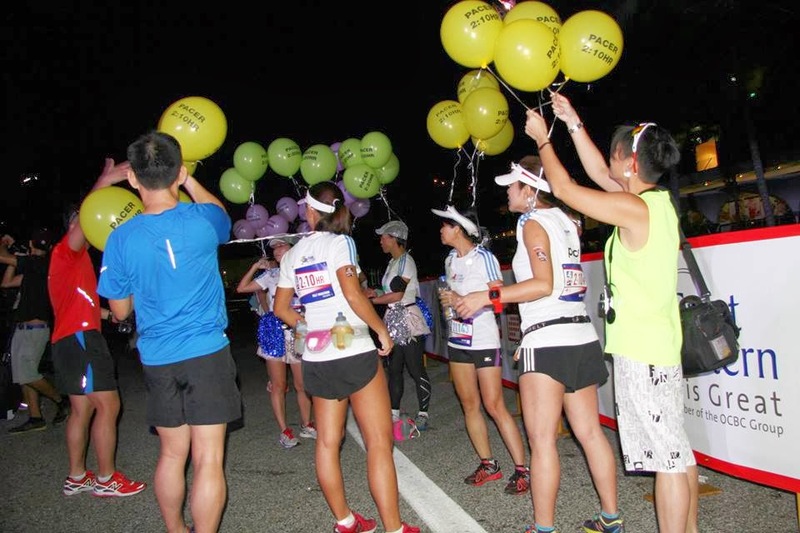 The light drizzle was no dampener and in fact, the spirits and feel-good meters were registering highs after all that good timings recorded. 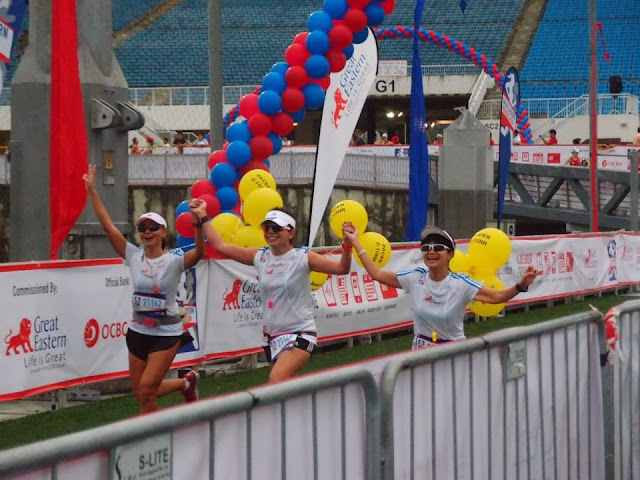 Well done to the event owner, Great Eastern Life and race organizer, HiVelocity for a wonderful race experience with a number of firsts and enhanced features to bring a truly #liveGreat experience to all the GEWR runners, families and supporters. 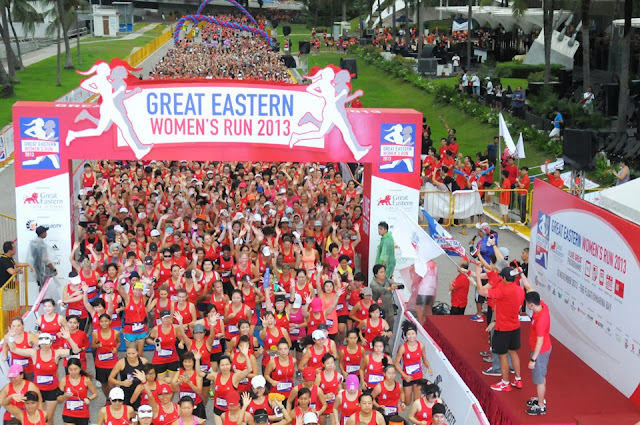 It sure will not be easily upstaged, but we are confident that many will look forward to GEWR 2014 with high anticipation. Live Great, Run Great, Life Is Great! 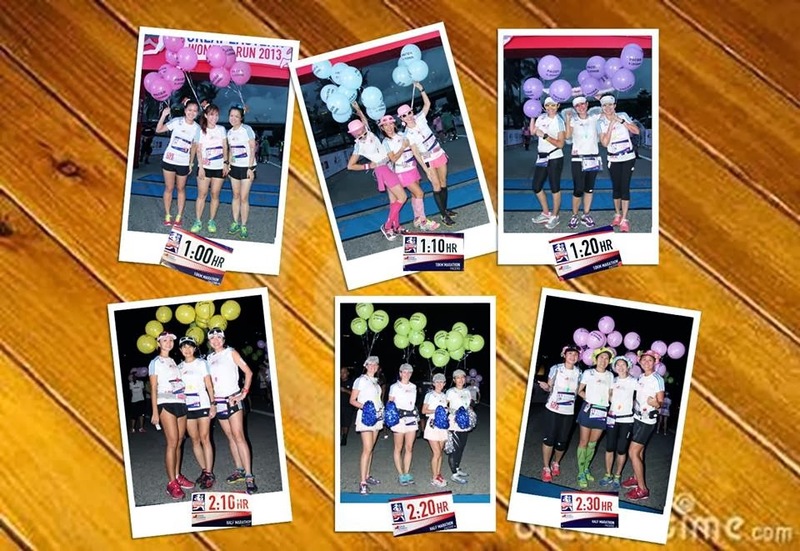 Official Race Day Photos HERE! It was my first run ever.. And i was only hoping to complete my run with 80 mins and earn my finishers medal.. I just didnt lose sight of the pacers in pink hats!! And before i knew it, i had completed my 10 k in 68 mins!!! It is a real achievement for me.. And i thank the pacers for helping me get it!! Thanks ladies!! You did great!! A very BIG thank you to the pacers!! Same for me, being a newbie in 10km run, I was hoping to complete within 70mins. 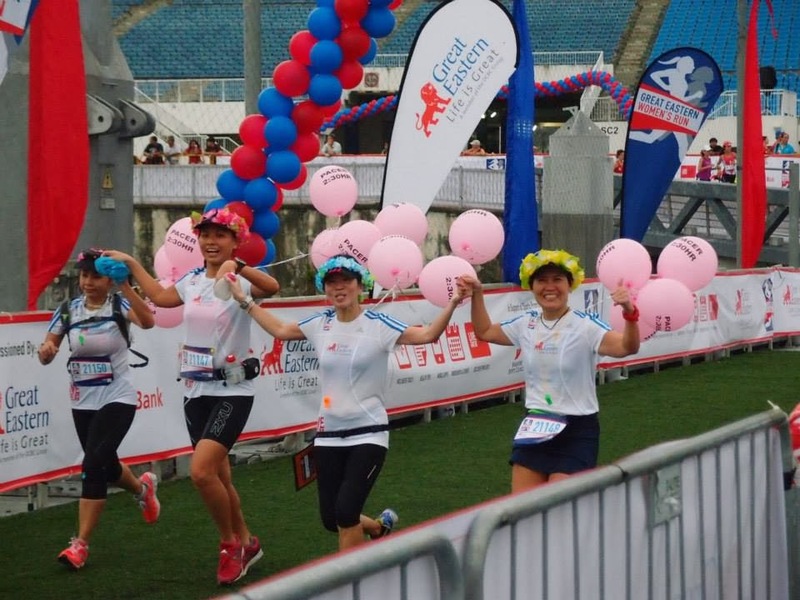 The ladies served as a good motivation for me and I completed in 57 mins 43 sec! I couldn’t believe it! You gals rock!!! Thk u for the movitation . This year my timing have improved by 10 mins. Feeling great!!! A million thanks to all of u…. My heartiest thanks goes to the 1:20 pacers. Going into the race without much training with my 12-yr-old, I was only hoping for a 1:30 timing. 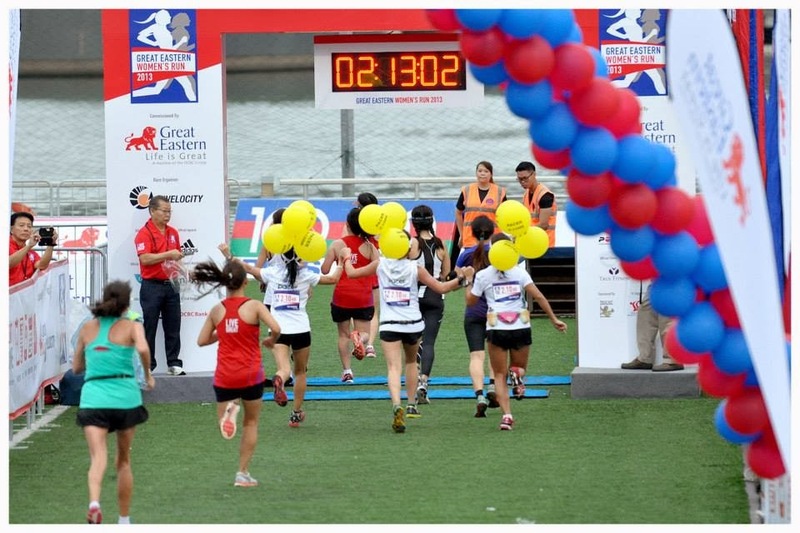 Was pleasantly surprised to see the clock showing 1:15 when I crossed the finish line. 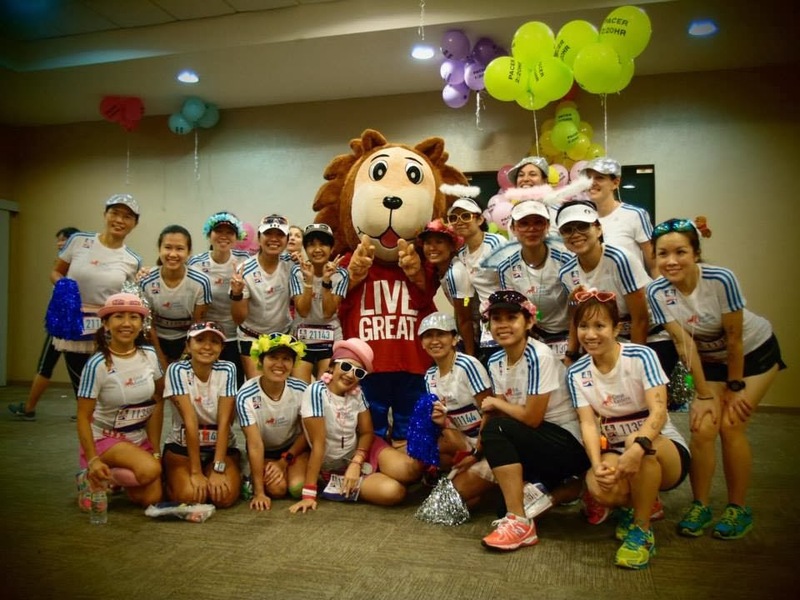 The cheery pacers were constantly giving their encouragement and I felt really encouraged to push myself. Hugz to the lovely ladies. Achieved my goal of running the marathon in under 2hr20min thanks to the pacers! Thank you for the encouragement close to the finish line too. Loved the pacers but I felt the course was shorted as per my gps. I’ll still take my PB time though. I had personally thanked the 1.10 pacers. But I thanked them once again here. Not much training done this year. Not for the pacers, I will complete in 2hrs. Thanks Pacers, you were full of energy and motivation. I also finished faster than expected after following you! Thks to al e pacers, esp e ladies of 2hrs 30mins for half marathon. If nt bcos of u ladies, i wont b able to complete my run n settin my 1st pb at 2hrs 30mins. Awesome ladies!